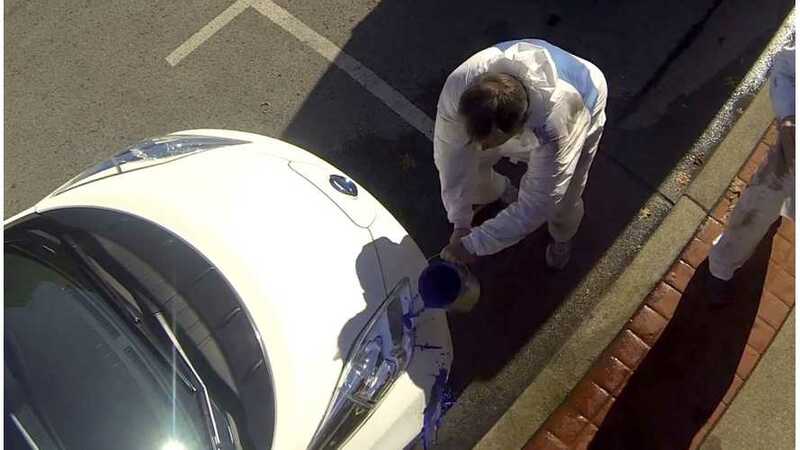 The “Self-Cleaning LEAF” is back and will stay for some time in the US, as Nissan launched a new social media campaign to showcase a zero-emissions Nissan LEAF with self-cleaning nano-paint technology. This feature could at some point be introduced as an aftermarket option, but there are currently no plans for this unique paint coating technology to be applied to Nissan vehicles as standard equipment. The Japanese manufacturer already presented the first from series of online videos and announced a contest for fans of Ultra-Ever Dry paint. 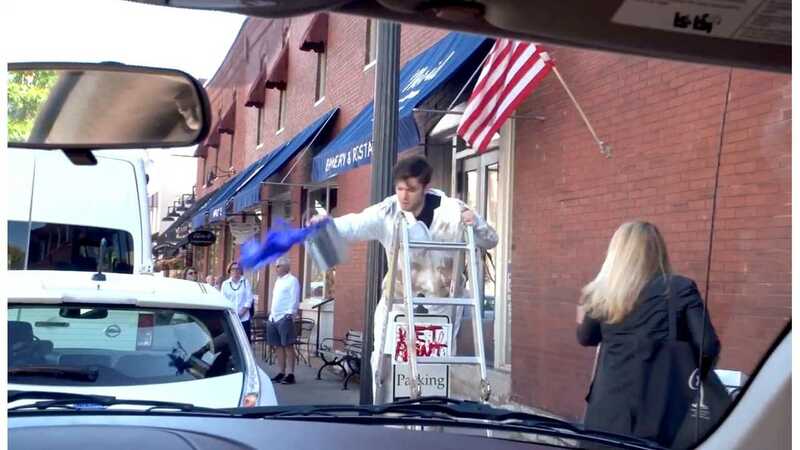 "First in the series of planned activations, “The Nissan Paint Prank” will launch on YouTube today. 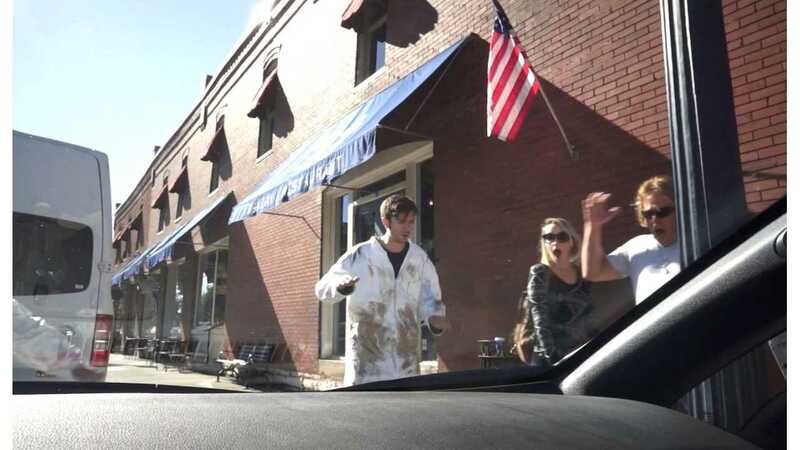 A “Three Stooges” style calamity, the video catches expressions of innocent bystanders shocked to see what happens as a crew of painters “accidentally” spills buckets of paint on the Nissan LEAF. As bystanders are playfully made aware of the prank, viewers online will be encouraged to visit Nissan’s Instagram channel to participate in a related series of videos, which also launch today." "First up on Instagram, “Guess the Mess” challenges fans to guess the liquid being poured on the self-cleaning LEAF. After guessing the mess, it’s the fans’ turn to decide what gets poured on the LEAF in the final set of videos entitled “Will it Stick?” Fans will be called upon on Instagram to suggest things they’d like to see dumped on the LEAF – ketchup, honey, eggs… anything is in play. Starting next week, Nissan will decide “if it sticks” by sharing videos on Instagram that will include the liquids suggested by selected fans. To encourage suggestions for liquids to pour on the LEAF from Instagram users, all participants will be entered for a chance to win a gift card toward a car wash."